Weaver Creek is a very popular attraction, on the weekends. However, on a Wednesday afternoon, we were practically the only people there. One of the best thing about the Dot Com Lifestyle is you can go to places during a time when everyone else is working. This gives you the entire place to yourself. It also avoids rush hour, the most hated thing in the world. 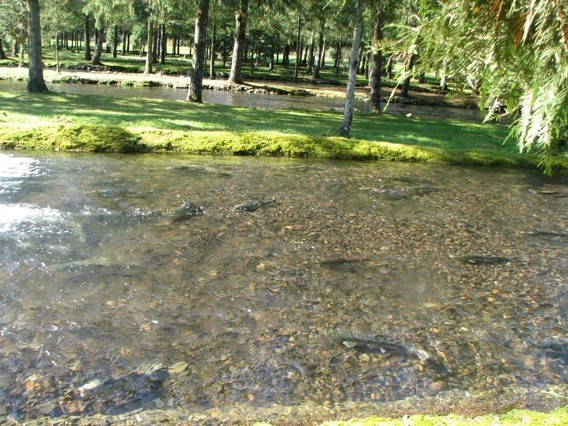 Between 1943 and 1959, an average of 20,000 sockeye salmon spawned in Weaver Creek every year. For the next eight years, from 1960 to 1968, however, that average declined to 12,000 sockeye annually. The main reason for this decline was the destruction of the salmon spawning grounds in Weaver Creek due to flooding. Flooding affects salmon adversely. Scouring of the gravel kills salmon eggs. 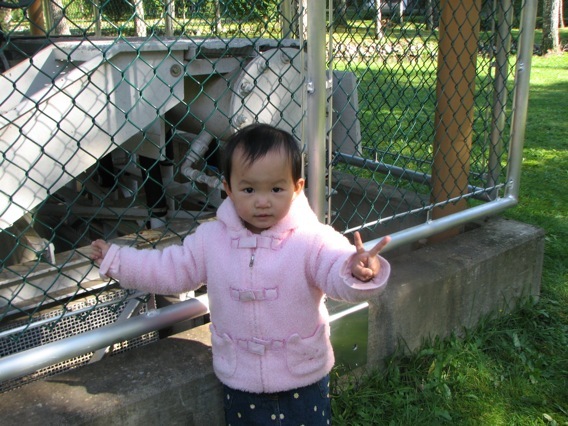 Fewer eggs mean that fewer adult fish are produced in subsequent years. 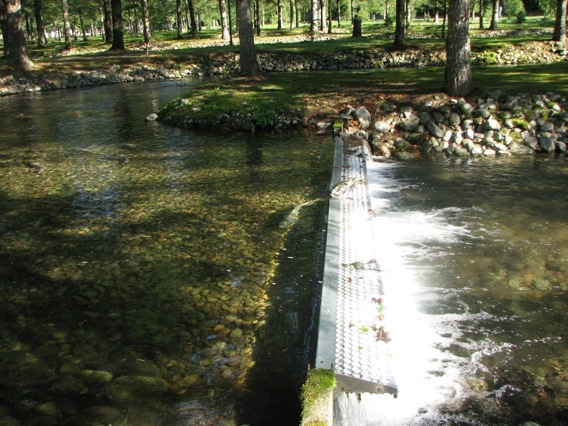 To provide additional spawning habitat for sockeye salmon, a spawning channel was built beside Weaver Creek in 1965. This channel is a shallow stream with a gravel bottom and sloping sides built up with rocks. In this channel, which is 2,932 meters long, sockeye and smaller numbers of chum and pink salmon deposit their eggs naturally. Since this channel is a man-made extension of Weaver Creek, more salmon can spawn naturally than in the creek alone. 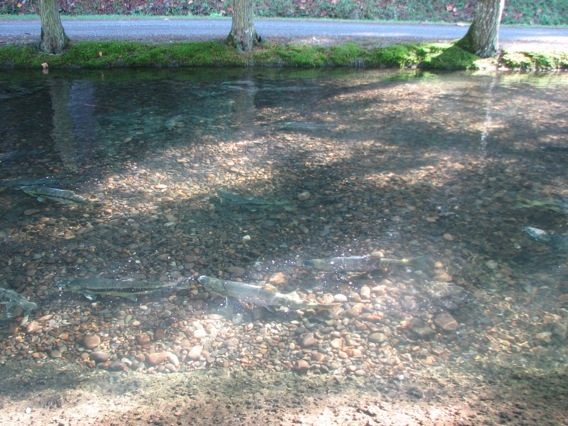 The spawning channel provides a stable flow of clean water that is maintained while the salmon eggs are incubating in the gravel. 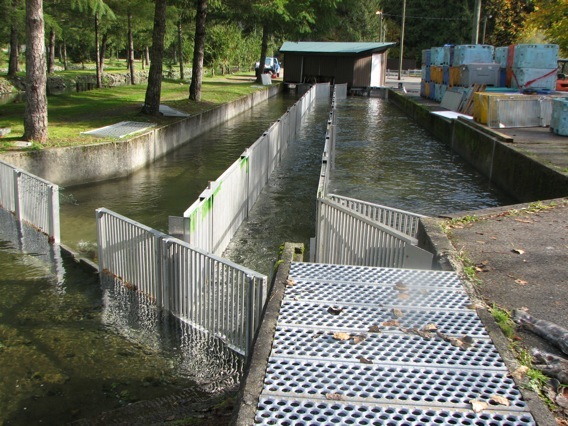 In other words, flooding in winter cannot occur to dislodge and kill those eggs deposited in the spawning channel the previous autumn.